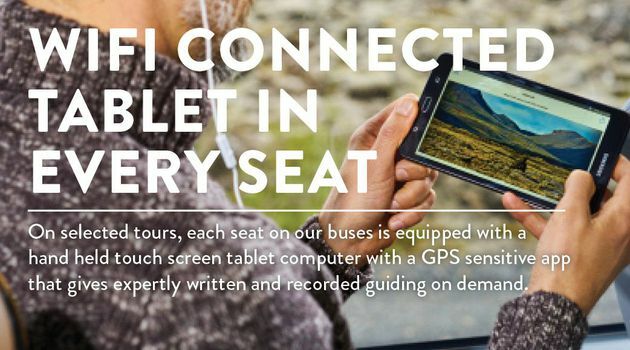 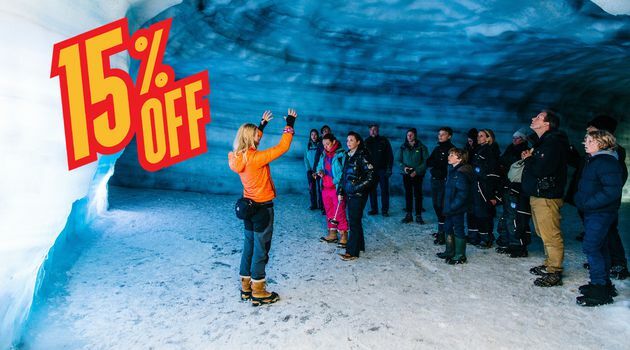 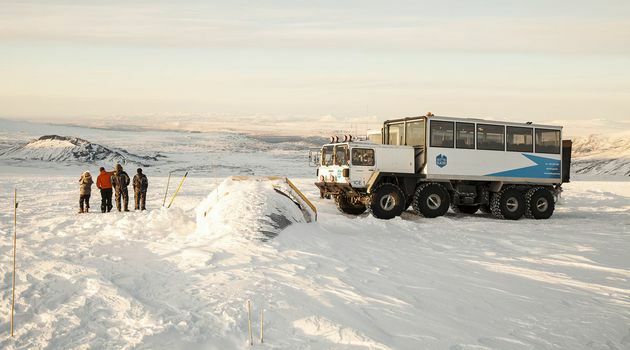 You soon discover that in Iceland everything is possible - before you know it you find yourself standing on top of a vast ice-cap, ready to descend into the glacier and explore its icy netherworld.To get to the Ice Cave we ride in a huge specially-modified truck. 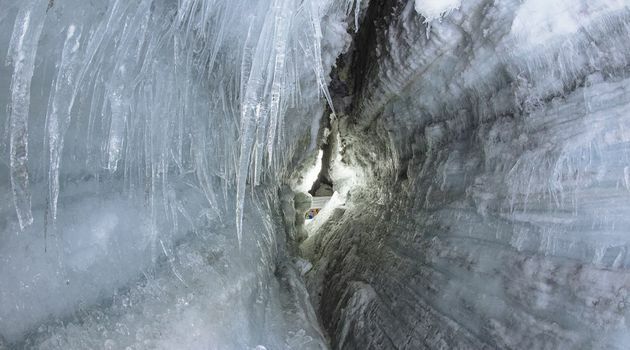 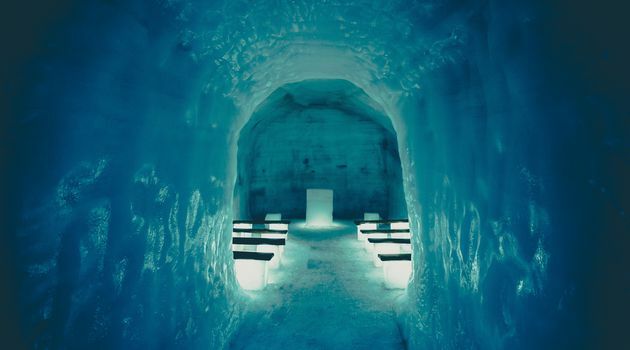 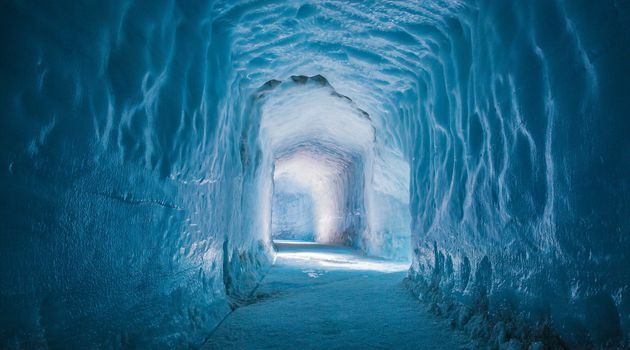 The Ice Tunnel and Cave are man-made and located high up in a remote area of the glacier in the very heart of Iceland. 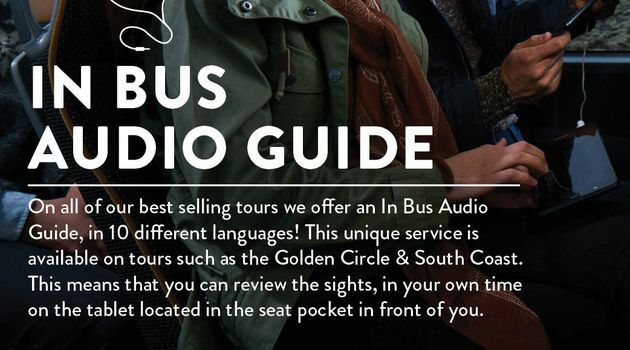 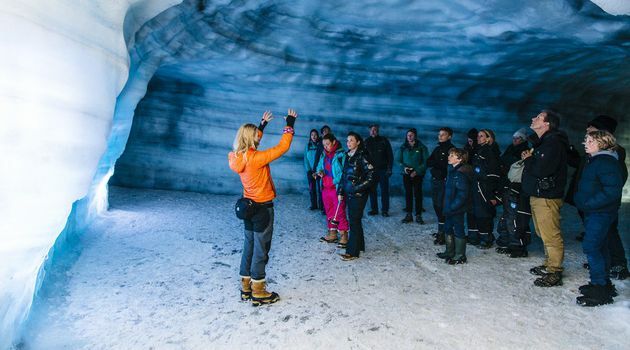 Your guide will explain to you how global warming has now started to impact on the glacial environment. 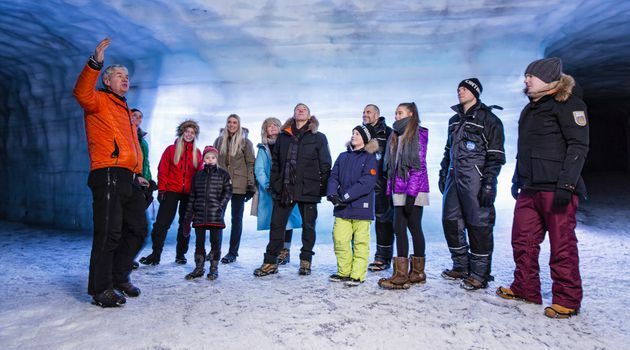 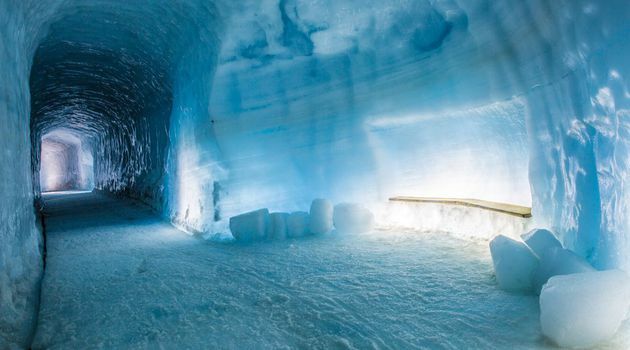 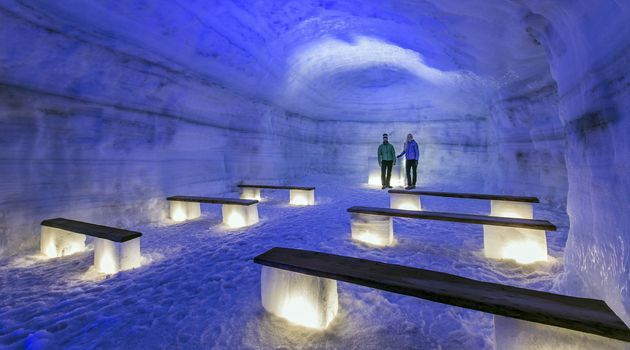 The temperature inside the glacier is usually around zero degrees Celsius or 32 Fahrenheit. 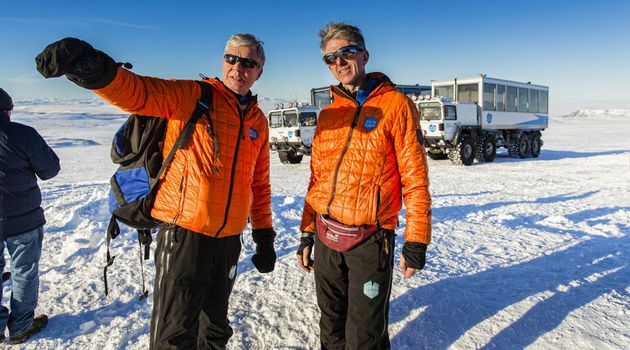 Back on top of the surface of the glacier, we jump aboard to the welcome warmth of the truck. 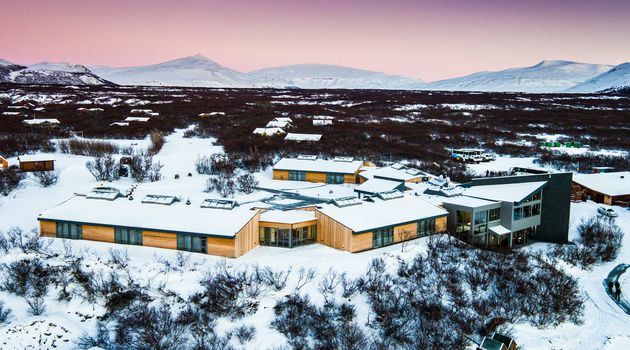 We eat lunch at the stunning Hotel Húsafell and then we continue our tour of the Borgarfjörður valley. 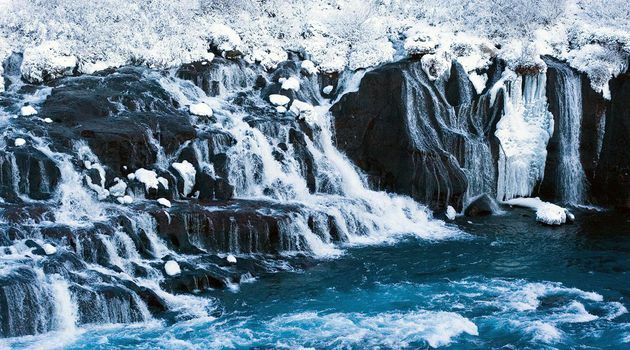 We get to see Hraunfossar, a beautiful lava waterfall, almost a mile long gushing through a wall of lava. 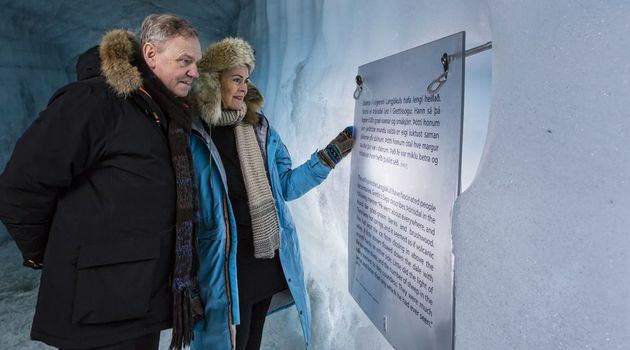 Admission to the thermal pools in Húsafell. 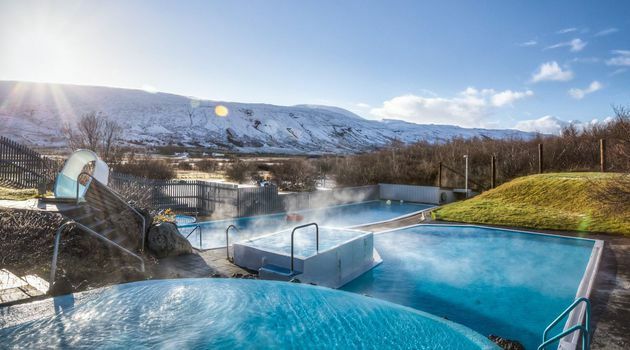 Swimsuit and bathing towel if you chose to relax in the thermal pools at Húsafell. 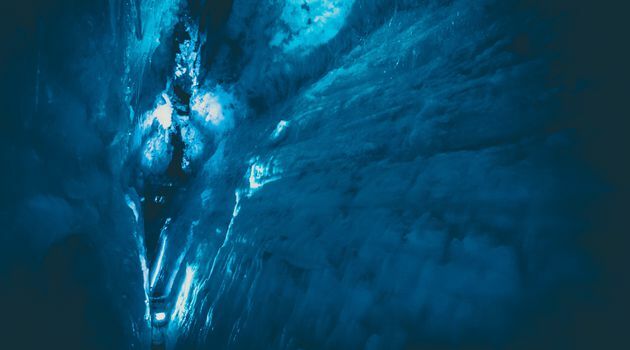 Langjökull Glacier is the second biggest glacier in Iceland after Vatnajökull Glacier. 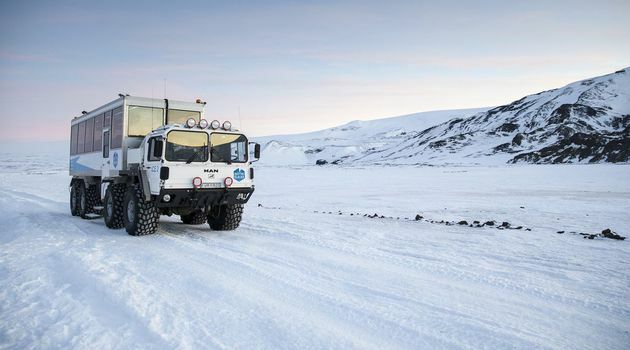 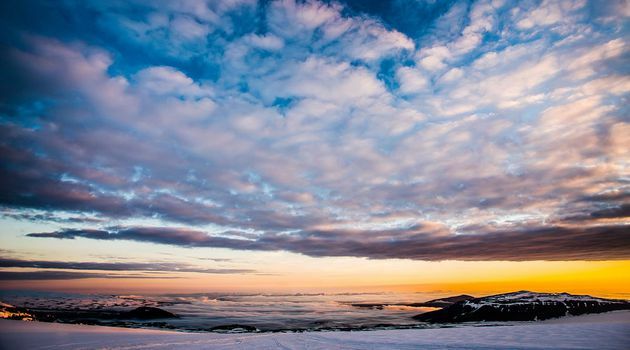 Langjökull is the home of the unique glacier cave and a paradise for snowmobile and super-jeep lovers. 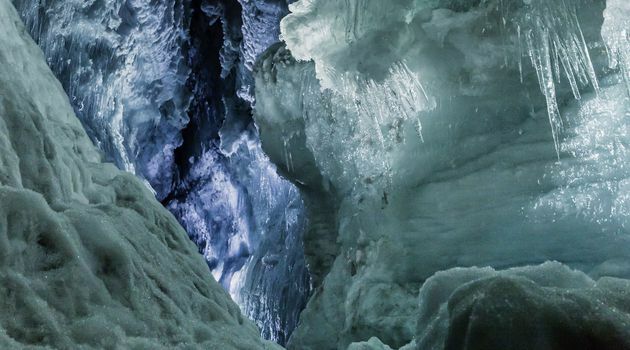 Langjökull (Icelandic for "long glacier") is the second largest ice cap in Iceland (953 km2), after Vatnajökull.